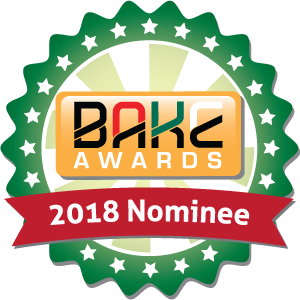 katrina 04/06/2018 04/10/2018 2 Comments on Nominated for The BAKE AWARDS 2018!! Voila my People! The Bloggers Association of Kenya (BAKE) finally released the list of nominees for Kenyan bloggers awards and guess what I’m excited about? My blog (Yes, this very blog) is among the 5 blogs nominated under the category of BEST NEW BLOG! Voting is as simple as ABC. You only need to visit bakeawards.co.ke/vote or simply CLICK ON THE BADGE BELOW to go to the voting site. Once you get to the voting site, scroll down to the 9th category and select the 1st option (fithealthytalk.co.ke). You can select your other favorite blogs before submitting your vote. You can vote only once as voting will be limited to one vote per person. Once you have voted, you will receive an SMS verification code through your phone number (From InforAlert), then you will insert the code sent to you in order to verify your vote. Don’t let your vote go uncounted. Please vote for my blog fithealthytalk.co.ke, It’s the first option in category 9 – Best New Blog. You can also vote your other favorite blogs as in the list below. Don’t be left out. Vote today, vote Now! Don’t forget to vote fithealthytalk.co.ke, in category 9 – Best New Blog. Thanks in advance for supporting me through your vote! When I win, my people win too!! Congratulations on your nomination. Np small feat. ← 5 Ways to Accomplish Your 2018 Fitness Resolutions (..this Time Round!) ← First Time Pregnancy: 10 Important Lessons I’ve Learnt From It..